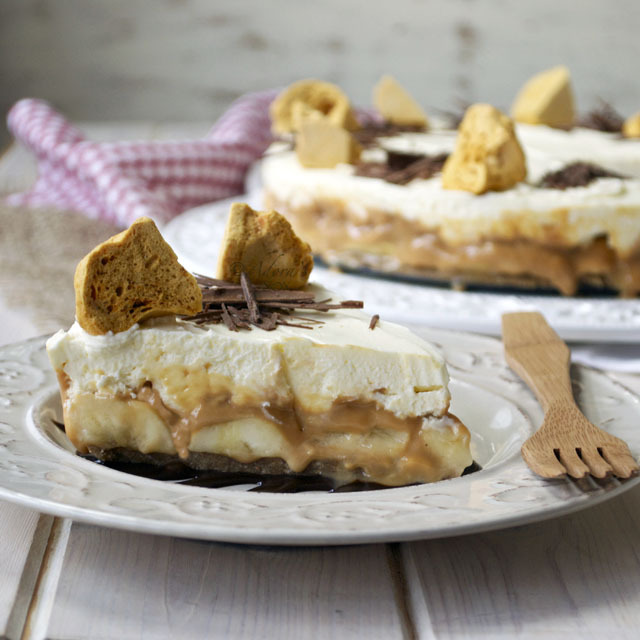 This banoffee cheesecake has a biscuit base, fresh bananas, tinned caramel and a mixture of whipping cream and cream cheese. It takes just minutes to make and can be made the day before you are going to serve it. Even the kids can do it. I froze it for an hour before decorating it with cinder toffee (honeycomb) and chocolate shavings. 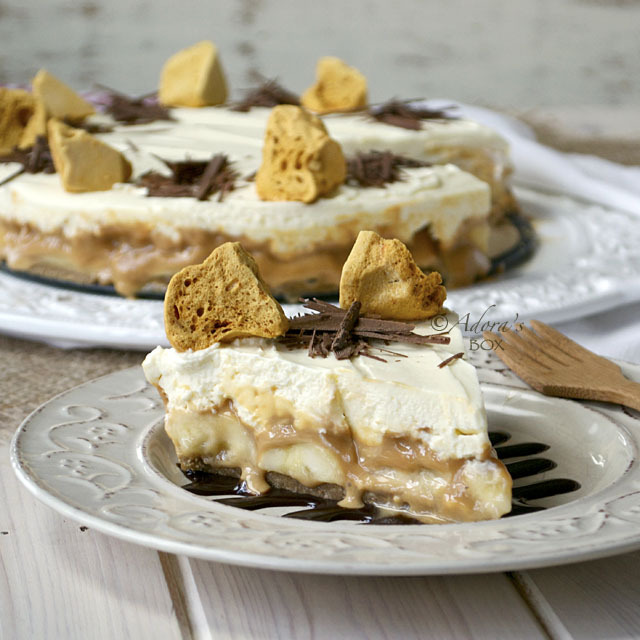 The base crisped up, the bananas were nice and cold, the caramel still gooey and the cheesecake layer was velvety and light. 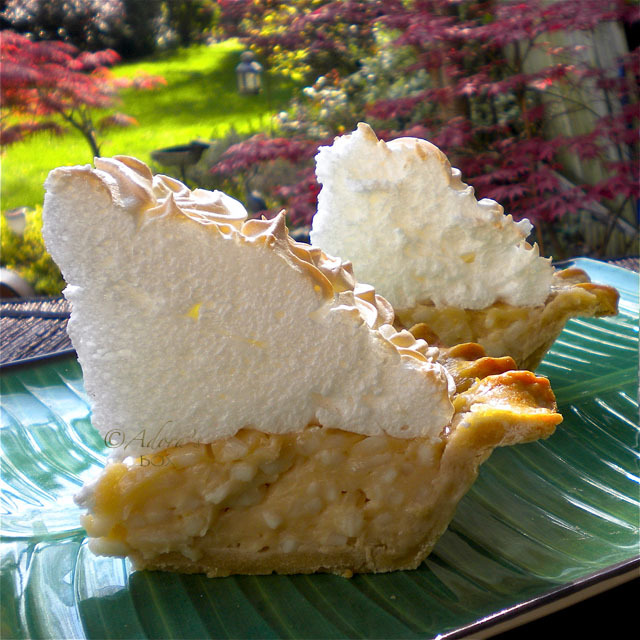 A breeze to make and a delight to eat, just perfect. Tip: It is easier to take a cheesecake out of the pan if you put the base the wrong side up. Line the bottom and sides of a spring form pan. 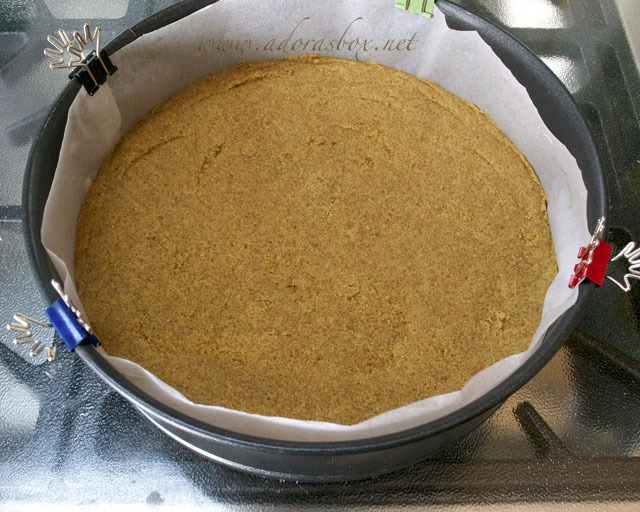 Secure the paper to the pan with clips so that it doesn't move while filling. The easiest way to make the crumbs is in a food processor. Add in the melted butter and sugar and give it a whizz to combine. Put the crumbs in the lined pan. Using the flat bottom of a measuring cup press the mixture firmly and evenly into the base. 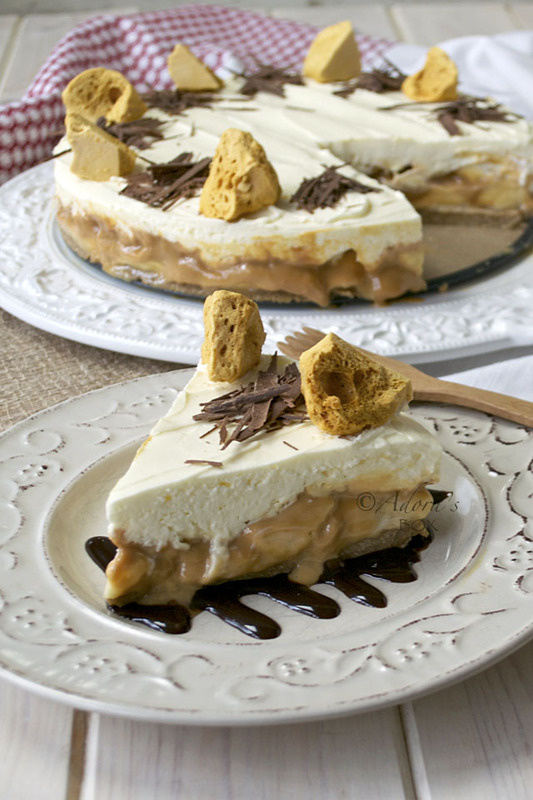 Arrange the bananas on top of the biscuit base. 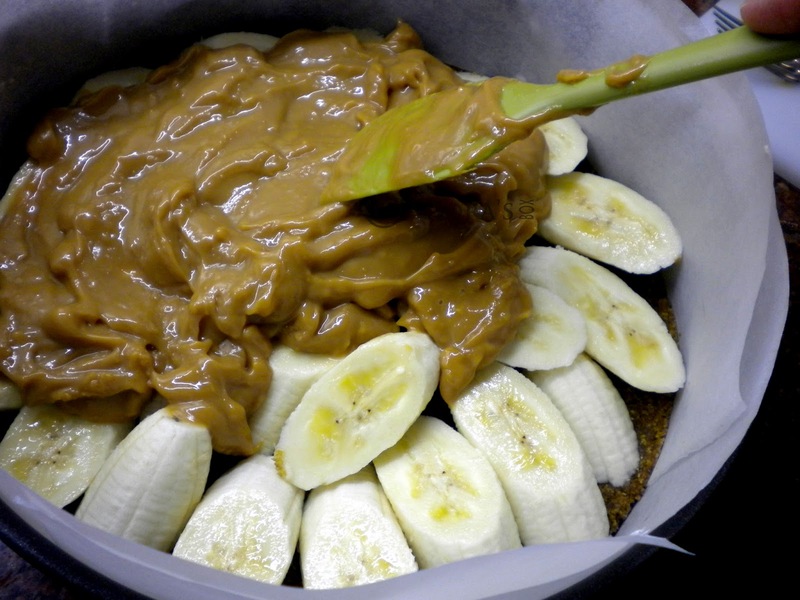 Spread the caramel evenly on top of the bananas. Whip the cream until thick, then add the cream cheese and sugar. Whip until combined, then spread on top of the caramel. Chill until firm. I love it! Something quick, easy but impressive, too. This is my kind of dessert! Looks and sounds delicious. 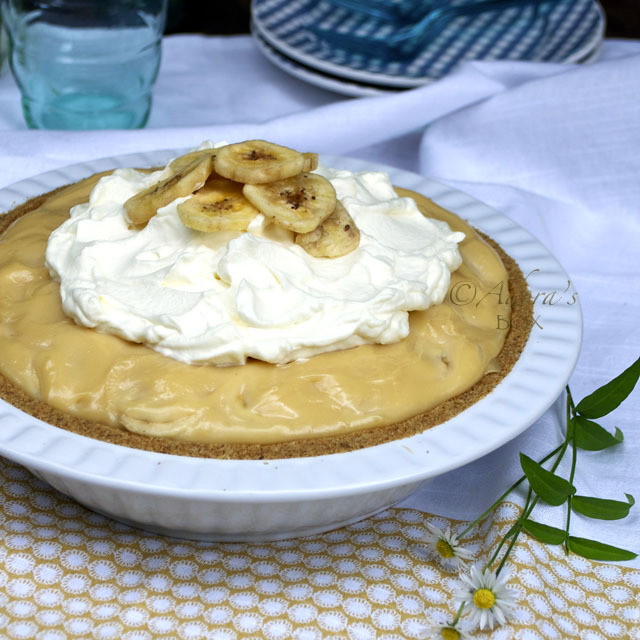 It looks pretty impressive for being such a quick recipe - not sure I could whip this beauty up as quickly as you did though - definitely something to bookmark. Lovely, quickie dessert. This looks fabulous and there is no way I would have suspected it whipped together so fast. Lovely cheesecake, Adora...and the best thing about it is the ease of making it! Thanks for sharing! Wow, what an effortlessly beautiful dessert! 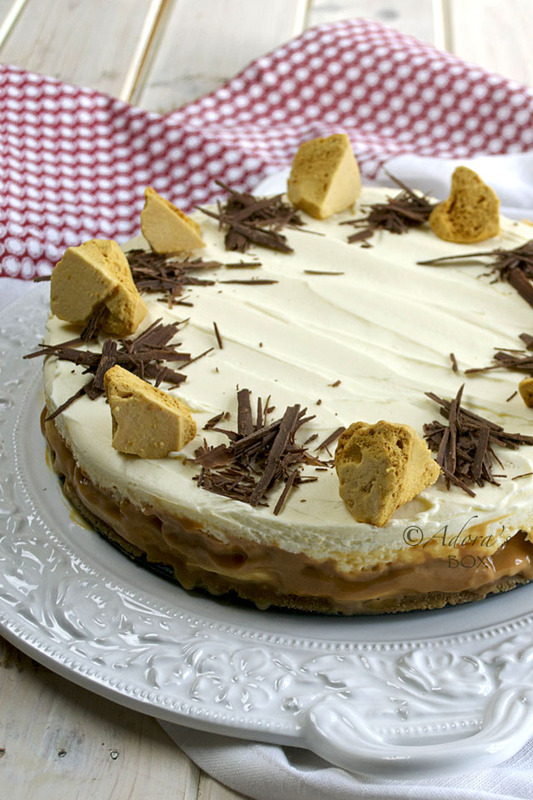 Dulce de Leche is one of my favorite ingredients and I can imagine how tbe whole cheesecake is uplifted by its presence. It's also been a while since I've used bananas in my dessert. Maybe it's about time I make this! 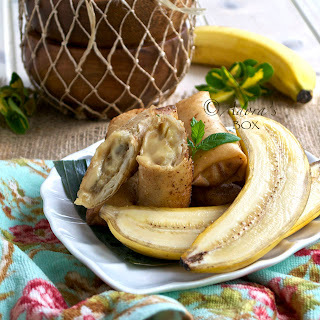 Oh why did I stumble upon my favorite desert when bananas are so expensive here in Australia at the moment! :( This looks absolutely to die for!!! Ooohh on second thoughts.. I'll only need 4 bananas for this! That's certainly worth my 7 or so dollars! :D Bookmark, bookmark, bookmark YUM!